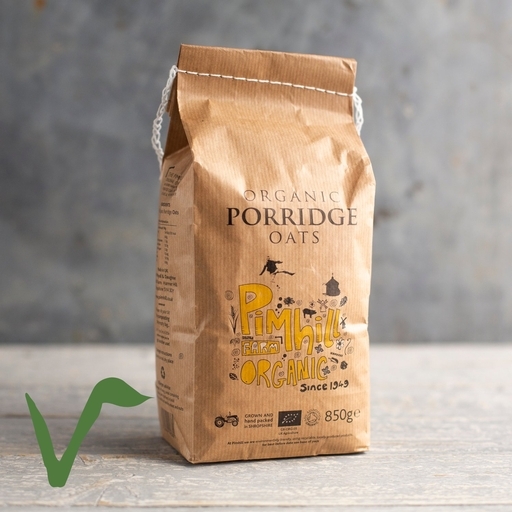 Pimhill’s organic porridge oats. Pimhill cut each oat in half before rolling, for a traditional smooth texture. Top with berries, sliced banana, yogurt, syrup, nuts, seeds… Whatever you choose, this is a fine way to start the day. It’s also very good for flapjack-making.